At this time, Mobile Veterinary Services is open for business! The new ambulance is stocked and fully operational. Mobile Veterinary Services gennerally preforms house calls, seeing dogs and cats by appointment. Due to the practice nature, slight flexibility in arrival time is necessary. We will always attempt to call you when en route to your residence to make sure everything is ready for the house call. We schedule appointments Monday through Sunday from approximately 9am-5pm. 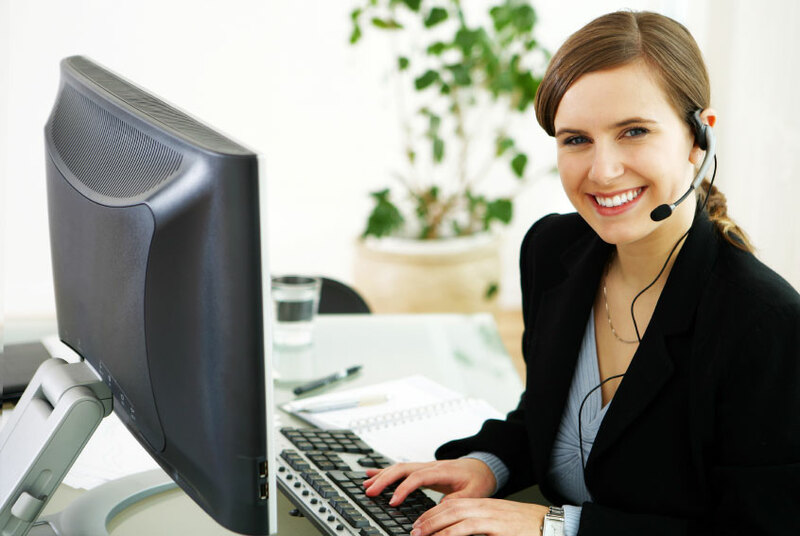 We do offer extended hours to accomodate our clients who need an appointment after regular working hours with no extra fee as long as appointments are made ahead of time. If you have an emergency, always feel free to call us. We will try our hardest to get to your pet as soon as possible. If it is in the best interest of your pet, we may refer you to a nearby hospital if we are too far from your location or if the emergency is too critical. If you do not hear back immediately it means Dr. Lam is at an appointent or working relief at a local hospital and will respond as soon as possible. New clients-please submit a new client form or email previous veterinary records to DVMWalter@Gmail.com at least 24 hours prior to arrival at your residence so that we may input your information into our records. We look forward to working with you and your beloved pets. For the protection of yourself and other, all dogs must be on a leash and properly controlled before the doctor enters your home. Please confine all cats to a carrier or small room about one hour prior to their appointment. Cats are experts at knowing when to hide, and having them confined saves valuable appointment time. An average appointment is scheduled for about 45 minuets and any time over that will be cause for additional expenses. A well-lit area of your home must be cleared (i.e. a kitchen or dining room table for small pets or a sparsely furnished area with a tile floor for a larger pet). All examinations, testing, treatments, and procedures are performed in your home. We do not preform examinations and procedures outside in an unfenced/unsecure location unless an animal cannot be safely moved indoors. Dogs and especially cats are fast and great escape artists and we do not want them to become lost due to them being nervous or frightened in a public setting. Full payment is required at the time services are rendered. For your convenience, we accept Cash, Credit Cards, Debit Cards, Personal Checks, and Paypal. The information on this website is only for information purposes and does not replace the advice of your veterinarian. All pets are individuals and without examining your pet, it is impossible to give you accurate medical advice. Always check with your veterinarian before using any information you read on this site or any website. The advice and comments found on this site are not a substitute for professional medical diagnosis, treatment or advice. 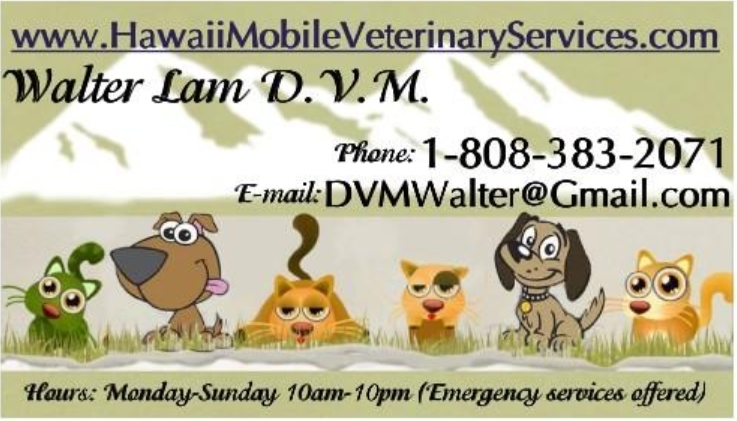 Dr. Walter Lam and Mobile Veterinary Services are not responsible for any damage, illness, death or harm that occurs from information found on this site or links from this site to other resources.